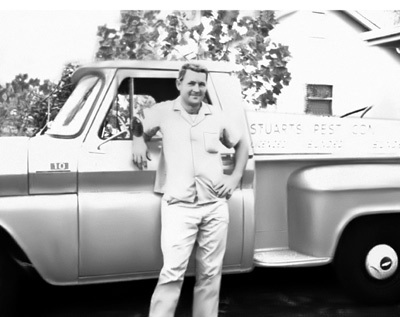 Exterminators in Houston | Stuarts Pest Control inc.
My Parents, William and Louise Stuart started Stuart’s in 1963. Louise, a recent German immigrant had never seen anything like the big roaches in Houston and could not stand them. They could not afford to call a pest company (or exterminators) in Houston, so my father tried multiple products and procedures to rid the house of the pests. He was successful, and a neighbor asked if – for a fee – he could do the same thing to his house. My parents saw this as an opportunity to make a little extra money (possibly even enough to go out to eat on Friday nights). With my mother’s office and administrative abilities and my Dad’s problem solving skills and energy, it wasn’t long before the business was thriving. My parents’ recognition of the need for service people who have respect for the homeowner and their home was then – and is still today – a driving force at Stuart’s. Since our beginning as exterminators in Houston, Stuart’s has adapted and advanced with Houston and the pest control industry. Using chemicals and products from the world’s leading manufactures like CONTROL SOLUTIONS, BASF, SYNGENTA, and BAYER, finding solutions to pest problems unique to Houston and the Gulf Coast are safer and more effective than ever. We are committed to providing value to our customers by steadily improving our treatment techniques and service delivery. We minimize pesticide application volume and dosage to ensure safety, reduce impact to the environment and control costs. Our TDA certified applicators (formerly known as exterminators) receive frequent continuing education to meet the specific requirements of the greater Houston area. Our conscientious approach to service delivery has helped us earn a reputation as a leading pest control company in the Houston area. Whether you’re a homeowner or commercial client, Stuart’s offers the pest control service you need for both interior and exterior concerns. 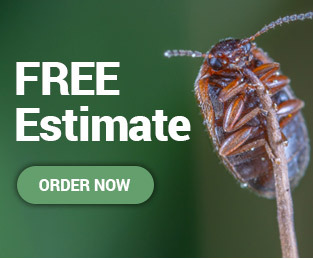 We have the experience and effective procedures necessary to handle roaches, ants, silverfish, spiders, termites, rodents, fleas, mosquitoes and many other pests. Count on the pros at Stuart’s for all your pest control needs.